A regional daily editor whose investigation into a child’s death led to the closure of one of his patch’s most famous landmarks has died aged 91. 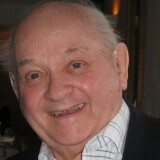 Maurice Boardman spent 36 years with the Bath Chronicle, editing the newspaper for seven of them. During his tenure as editor, between 1979 and his retirement in 1986, he was responsible for Chronicle’s conversion to new technology. One of his biggest stories came after he discovered that a child had died after swimming in the water of the city’s Roman baths. An obituary in the Chronicle, now a weekly title, recalls: “He found that a Bath public health scientist researching the contents of spa water sediments had identified a meningococcal amoeba which, if sniffed into the nasal passage could lead to death. Maurice, pictured, trained on his hometown newspaper the Altrincham Guardian, but declined an offer to move into management there. He moved to Bath in 1950 after Second World War service as a commissioned officer in Royal Signals, serving as the Chronicle’s local government specialist and was later promoted to news editor before taking on the paper’s top job. Maurice served for a time as Father of the Chronicle Chapel of the National Union of Journalists, and secretary and chairman of the Bath branch of the NUJ. He became secretary and later chairman of the Western region of the Guild of British Newspaper Editors and was a member of the selection panel for journalist training. A heart attack while sailing in the Mediterranean eventually led to his early retirement. Outside of journalism, he was a natural history and croquet enthusiast. Maurice was married to his late wife Hilary for 64 years, and is survived by his daughter, granddaughter and two great-grandchildren. His son died in a fall at home soon after he was married. His funeral will take place at Haycombe Crematorium, Bath, at 3.15pm on Thursday 8 March.